Can You Reheat Tofu? | Can You Reheat? Q: As a vegetarian, I love to use tofu in most of my meals, yet I am always afraid to have leftovers since I have rarely heard of success with reheating tofu. Is this even possible, or will it become rubbery? A: You can in fact reheat tofu quite easily, and without fear of it turning rubbery. The trick to keeping it crispy and delightful is to ensure you pressed it well before cooking. The best method to reheating it is to do it over the stove since the microwave can give it an odd texture and make it like rubber to chew. Hands down, reheating your leftovers on the stove has got to be a winner. When it comes to reheating your tofu, it is even easier. Just add it to the pan, along with whatever else you may be cooking with it. Add one tablespoon of olive or coconut oil to the pan and warm everything over medium heat until warmed through. If you are just reheating tofu, and nothing else with it, preheat your pan and oil before adding the bits. This will help prevent them from sticking, and keeping them wonderfully crispy. Tofu is a daunting food, and it shouldn’t be! This versatile alternative has many uses and is delicious in any meal you can think of, from stir-frys to chili, to even burgers. 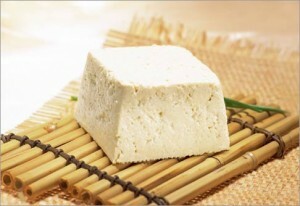 Tofu takes on a pleasant taste when cooked properly, and now that you know how to reheat it, you can enjoy it even more. Is there a way to reheat already cooked Tofu in the oven? And I’m referring to a conventional one and not a toaster one. So if anyone knows how to reheat cooked Tofu in an oven, please let me know. Is there a conventional oven method for reheating cooked Tofu?